The UF Academic Health Center is a world leader in interdisciplinary research, generating more than 50 percent of UF's total research awards. Apart from the flurry of research activities in the AHC colleges, nine major health-related research centers and institutes are designed to create synergies and collaborative research opportunities. Research activities at UF Health reflect a depth of purpose by focusing on the translational nature of biomedical research following the continuum from fundamental research to clinical research to patient care. Research at the UF Diabetes Institute takes place in both the clinic and in the laboratory. There are many clinical trials and studies in diabetes currently taking place at UF, including studies for family members, people with established type 1 diabetes, and studies for people with newly diagnosed type 1 diabetes. 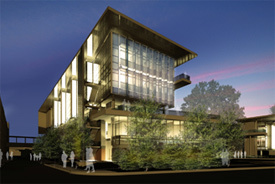 The Evelyn and William L. McKnight Brain Institute (MBI) of the University of Florida is one of the nation's most comprehensive and technologically advanced centers devoted to neuroscience. 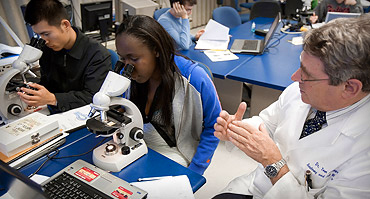 Combining the talents of over 300 faculty members from diverse departments and colleges at the University of Florida, nationally, and abroad, the MBI serves as a multidisciplinary but highly interactive research facility focusing on the nervous system and developing clinical treatments for its diseases. The Norman Fixel Institute for Neurological Diseases at UF Health is home to scientists and clinicians at UF Health who are working on neurological disorders that afflict millions of people across the globe. These conditions include Parkinson’s, dystonia and other movement disorders, Alzheimer’s disease and other dementias, concussion, traumatic brain injury, dystonia and amyotrophic lateral sclerosis, also known as ALS, or Lou Gehrig’s disease. The UF Clinical and Translational Science Institute seeks to improve human health by transforming our ability to do science. The UF CTSI provides clinical, laboratory and consulting services to investigators, training opportunities throughout the academic health enterprise, and provides new opportunities to engage Florida’s citizens in better health and healthcare. One of 60 such institutes supported by the National Institutes of Health at leading universities across the country, the UF CTSI creates new opportunities for translating basic research into clinically relevant knowledge and then further translating that knowledge into improved practice across the state and nation. The UF Emerging Pathogens Institute was created by fusing signature disciplines at the University of Florida and creating opportunities for novel scientific interaction. New and re-emerging diseases threaten Florida's tourism, health and economy, which are particularly vulnerable due to the state's mild climate and diverse agriculture. Weather patterns, commercial plant imports and annual global visitors, all have the potential to unsuspectingly carry pathogens from other countries into our state. The Emerging Pathogens Institute will fuse key disciplines to develop outreach, education, and research capabilities designed to preserve Florida's health and economy, and to prevent or contain new and re-emerging diseases. 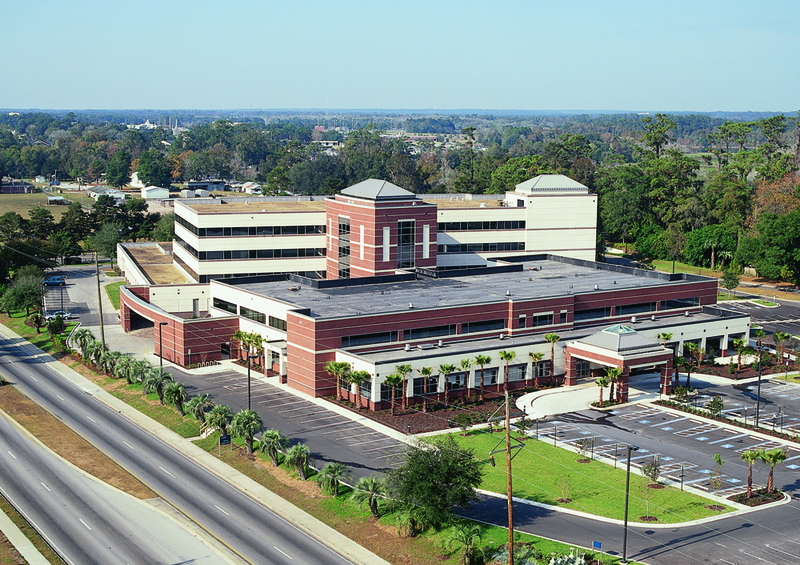 The UF Health Cancer Center is the flagship cancer treatment facility for the state of Florida with branches located in both Gainesville and Jacksonville. One of the leading oncology referral centers in the Southeast, the UF Health Cancer Center's goal is to eradicate cancer through multidisciplinary research and state-of-the-art clinical therapies. The University of Florida Genetics Institute offers a cohesive and unified systems biology program for the entire campus, devoted to fostering inter-disciplinary collaborations in research, education, patient care, and public health in the field of genetics. Hundreds of faculty members are making significant contributions to new knowledge regarding the genetics of people, animals, insects and plants. The UF Institute for Child Health Policy (ICHP) is dedicated to improving the health of children through innovative, interdisciplinary research. Drawing on the strengths of faculty in the College of Medicine and the expertise of affiliate faculty across the University of Florida, the Institute uses rigorous scientific methods to develop and test novel approaches to delivering better health care and preventing disease and injury among children and youth. Our methods include analyzing health data to assess the quality of children’s health care, evaluating the effects of health-related policies on population health and conducting clinical and community-based trials to test the effectiveness of new health care interventions and disease prevention strategies. The UF Institute on Aging serves as the major catalyst for developing interdisciplinary models and synergisms in the areas of research, education and health care across all Colleges and Departments at the University of Florida and its affiliates to improve the health, independence and quality of life of older adults. The Department of Aging and Geriatric Research serves as support infrastructure for the Institute on Aging and academic home for faculty members from diverse disciplines who wish to pursue a career primarily focused on research and education on aging. The UF Research and Academic Center at Lake Nona brings to the Orlando area vital research on new therapies and cures, increased opportunities for participation in clinical research and enhanced access to professional and graduate pharmacy education. The facility extends UF’s presence into the greater Orlando area through the following colleges, institutes and centers: the College of Pharmacy, the Center for Pharmacometrics and Systems Pharmacology, the Institute for Therapeutic Innovation, the Institute on Aging, and the Clinical and Translational Science Institute. The Anatomical Board of the State of Florida is a nonprofit state organization responsible for receiving, preparing (embalming), storing and distributing donations of human cadavers used in medical education and research programs throughout the state. The Center for the Arts in Medicine is committed to advancing research, education, and practice in the arts in healthcare, locally and globally. The Center of Excellence for Regenerative Health Biotechnology (CERHB) was established in 2003. Our mission is to stimulate promising research and facilitate commercialization of technologies that will provide treatments and cures for human diseases, as well as create new companies and high wage jobs for Florida. Our activities encompass education, translational research, and biopharmaceutical manufacturing. The mission of the Interdisciplinary Center for Biotechnology Research (ICBR) is to serve as a world-class research support center that provides scientifically knowledgeable, technically superb scientific services to University of Florida faculty, staff, graduate students, and other research partners throughout the state and nation. Founded in 1987, ICBR is dedicated to initiating and supporting the best of front line technology within the ever-changing and wide-ranging scope of the molecular life sciences. The Nanoscience Institute for Medical and Engineering Technology (NIMET) consolidates information about the research and development activities at the University of Florida (UF) in the fields of nanoscale science and nanotechnology (NS&T); and the opportunity to utilize NIMET facilities. Research in NS&T has developed in numerous disciplines and now involves the research of individual faculty, group consortia, multidisciplinary centers, and research facilities that encompass several colleges at the University. 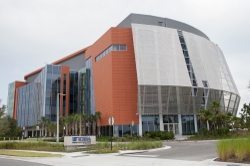 The Whitney Laboratory for Marine Bioscience is a full-time University of Florida research center for biomedical research and biotechnology located in St. Augustine, Florida. The mission of the Center for Dental Biomaterials is to integrate the research and teaching expertise and the facilities of the Colleges of Dentistry, Medicine, and Engineering at the University of Florida to enhance the development of safe, long lasting, and economical materials to prevent tooth decay and to remineralize, repair or restore demineralized, defective, or damaged tooth structure. Established in 1999, this interdisciplinary Center for Implant Dentistry coordinates research, educational programs, and diagnosis and treatment related to patients needing dental implants. The center benefits not only students in the doctor of dental medicine degree program, but also residents and faculty from our Health Science Center colleges, and an international audience of dental professionals through continuing education and distance education. The Center for Molecular Microbiology (CMM) was established in October of 2000 to formally bring together infectious disease researchers and clinicians from the Colleges of Dentistry, Medicine and Veterinary Medicine in order to function as an interdisciplinary group of collaborating scientists to address the issues of infectious diseases. The Center for Autoimmune Diseases provides patients with an accurate diagnosis and an individualized treatment plan for their autoimmune disease. A team of experienced physicians from several disciplines and other health care specialists will formulate comprehensive recommendations for managing your condition. The Florida Dental Care Study (FDCS) was a highly successful longitudinal, observational cohort study of oral health and dental care. A great deal was learned from this study. We published 75 peer-reviewed scientific research articles in 30 different journal titles. This study was funded by eight grants from the U.S. National Institutes of Health. 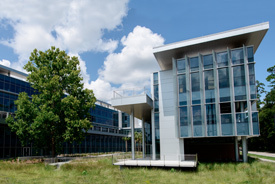 The Comprehensive Center for Pain Research (CCPR) was created in 2001 in an effort to increase the University of Florida’s reputation for excellence in pain research. The purpose of the Center is to link together and coordinate clinical and basic research activities related to the onset and progression of chronic pain conditions. The ultimate goal of the CCPR is to move research to clinical application in an effort to improve pain sufferers’ quality of life. Welcome to the Southeast Center for Research to Reduce Disparities in Oral Health, a multi-disciplinary center at the University of Florida College of Dentistry built on strong community partnerships. Led by principal investigator Henrietta Logan, Ph.D., the center aims to reduce disparities in oral health among Florida’s rural populations through research and intervention projects based on the best science available and community participation. Local residents are involved in all phases, from designing research to collecting data to publicizing results and influencing public policy. With the combined forces of community involvement and scientific expertise from researchers across the University of Florida campus, the Center’s goal is to eliminate disparities in head and neck cancer prevention, detection, and survival. This fund was established by B. J. and Eve Wilder in 2003 to support the creation and continued development of the B. J. and Eve Wilder Center for Excellence in Epilepsy Research in the McKnight Brain Institute and nurture as well as encourage the investment and support of the next generation of epilepsy researchers. The Center was created to promote basic research in the neurological disorder of epilepsy. The Center for Addiction Research and Education provides a comprehensive interdisciplinary environment in the neurosciences leading to specialized research related to the neurobiological consequences of alcohol and drug abuse. The Center for Epigenetics (CEG), and the extensive expertise of its associated faculty, is positioned to influence and enhance UF research programs in an expanding variety of disciplines in the life, health, and social sciences. The role of the CEG is to support, facilitate, coordinate, and enhance interdisciplinary research and training in epigenetics within the UF College of Medicine (COM) as well as across the UF research and teaching community. The Center for Immunology and Transplantation provides an environment for multidisciplinary approaches to questions in immunology and transplantation. Investigators associated with the CIT bring together biochemical, pharmacological, molecular, biological and clinical expertise to study the immune response and to create novel ways to modify its activity. Current work focuses on the nature of autoimmunity, organ transplantation, the role of the immune system in infectious diseases, as well as on development of therapies that circumvent disease. From basic science to clinical trials, research at the Center for Inflammation and Mucosal Immunology focuses on the cellular and molecular mechanisms involved in uncontrolled inflammation, with the primary goal of identifying unique therapeutic platforms and bio-marker signatures to reduce morbidity and mortality from inflammatory diseases. The University of Florida Fixel Center for Neurological Disease is founded on the philosophy that integrated, interdisciplinary care is the most effective approach for patients with movement disorders and disorders involving a group of circuits in the brain called the basal ganglia. The mission of the Center for Neuropsychological Studies is primarily educational and scientific. Neuropsychological studies attempt to understand the relationship between brain and behavior in both health and disease. The Center for OCD, Anxiety, and Related Disorders (COARD) is an interdisciplinary group of researchers and clinicians who conduct clinical and translational research in obsessive compulsive and anxiety disorders at the University of Florida. The Center for Regenerative Medicine (UF CRM) coordinates the discovery, development and delivery cycle of regenerative solutions to intractable disease across medical, surgical, and rehabilitation practices. 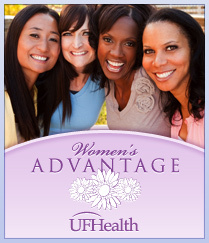 The Center for Research on Perinatal Outcomes, originally called the Center for Research on Women's Health, was founded at the University of Florida in the late 1990's to foster interdisciplinary and inter-professional research collaborations in Women's Health. It was the first Center at the University of Florida not housed in a particular College, but rather encompassed a University wide collection of researchers across many disciplines. The mission of the Center for Spirituality and Health is to pursue research and provide curriculum at the interface of spirituality and the health sciences. It is designed to promote within UF the rigorous, interdisciplinary study of the human experience of faith, belief and spiritual knowledge in relation to health at the individual, community and global levels. The Center for Structural Biology is a research and teaching unit of the University of Florida within the College of Medicine, with a mission to study biological structure in order to gain a greater understanding of the relationship between structure and function. The Center is an integral part of the University of Florida Brain Institute and is jointly developing programs with the National High Magnetic Field Laboratory. The mission of the Center for Translational Research in Neurodegenerative Disease is to discover, develop and evaluate future treatments and diagnostics for degenerative central nervous system conditions including Alzheimer’s disease, Parkinson’s disease, stroke and other brain neurodegenerative disorders. Vision research at the University of Florida crosses the boundaries of nine departments in the College of Medicine and six colleges at the University of Florida. Because of this diversity, the Center for Vision Research was established in 1996 to help build a cohesive core of vision researchers. The Child Health Research Institute was established in 2006 to provide the environment necessary to focus on and develop a wide variety of unique research concepts and to support pilot research activates of faculty to obtain data necessary to submit research proposals to outside agencies. The institute also supports fellows and residents during their research rotation that is a requirement of their Pediatric and Pediatric Sub-Specialty training programs. The UF Craniofacial Center is dedicated to the care of individuals with cleft palate and other craniofacial conditions. As a University Center we are very active in clinical service, teaching and research. The H. James Free, MD, Center seeks to transform the landscape of primary care by serving as a catalyst for collaboration, education, innovation, and research. The Institute for Therapeutic Innovation (ITI) has as a mission and focus of developing optimized chemotherapy for medically important Infectious Diseases. In contradistinction to other laboratories, ITI does not focus upon a specific pathogen, but we apply the same therapeutic principles to many different pathogens. The mission of the Interdisciplinary Center for Musculoskeletal Training and Research (ICMTR) is to promote education and research in the orthopaedic sciences. The goal of the ICMTR is to encourage the interaction of scientists and clinicians regardless of department or college. The UF Myology Institute brings researchers from throughout UF campus, private industry, and other institutions together in a collaborative effort to further the understanding and treatment of neuromuscular diseases. The focus of the Myology Institute will include basic research on skeletal, cardiac, and smooth muscle, translational work involving cellular and animal models of neuromuscular and cardiovascular diseases. The Preston A. Wells, Jr. Center for Brain Tumor Therapy at the University of Florida, co-directed by William A. Friedman, MD and Duane Mitchell, PhD, MD, is a result of a generous $5 million gift from the Fort Lauderdale-based Lillian S. Wells Foundation Inc. The Sepsis and Critical Illness Research Center, the first of its kind in the nation, studies long-term outcomes in patients treated for sepsis in the surgical and trauma intensive care units at UF Health Shands Hospital, with the goal of developing clinical solutions for sepsis as well as illnesses that stem from it and their enduring, dismal effects. The University of Florida Prostate Disease Center, the only program of its kind in the state of Florida and adjacent states, conducts cutting edge research for the discovery of advanced treatment methods for patients suffering from prostate and urogenital diseases. 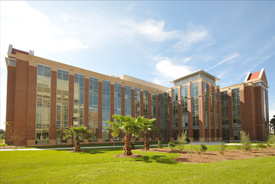 The William R. Maples Center for Forensic Medicine is a joint initiative of the Colleges of Medicine and Liberal Arts and Sciences at the University of Florida. It was created in 1999 by the Board of Regents to honor the memory of Dr. William R. Maples, an internationally recognized pioneer in the field of forensic anthropology. The Biobehavioral Research Center (BRC) at the University of Florida College of Nursing is an exploratory center funded by the National Institute of Nursing Research (NINR). The goal of the BRC is to provide the infrastructure for faculty to develop state-of-the-art interdisciplinary research that integrates biological and behavioral sciences. Through the Blue Cross and Blue Shield of Florida Center for Health Care Access, Patient Safety and Quality Outcomes, UF leaders and BCBSF hope to address the unique health-care issues that affect Florida’s quality of life and economic viability. 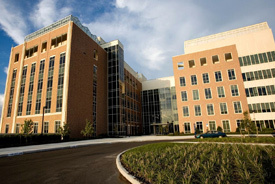 The Center for Natural Products, Drug Discovery and Development (CNPD3) was established to provide a strong multidisciplinary approach to research involving faculty members in the Department of Pharmaceutics in the College of Pharmacy, the Division of Endocrinology and Metabolism and the Division of Infectious Disease in the Department of Medicine, College of Medicine, and the VA Hospital at the University of Florida in Gainesville. Drug interactions can be a confusing topic. The Center for Drug Interaction Research and Education, led by the University of Florida, was established in the spring of 2003 to help identify and analyze possible food- and dietary supplement-drug interactions and provide clarification on any resulting effects. The Center for Integrative Cardiovascular and Metabolic Disease was created in 1992 by the UFL Board of Regents and Dr. Chris Wilcox. Dr. Wilcox, then Division Chief of Nephrology at the VAMC, was the first Director. When Dr. Wilcox left in 1995 Dr. Ian Phillips took over until he left the University of Florida in 2002 and in July 2004, Dr. Chris Baylis was recruited as Center Director. 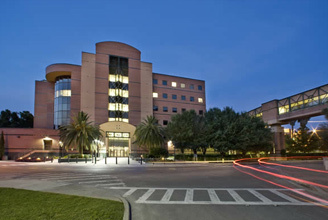 The Center for Pharmacogenomics is part of the College of Pharmacy at the University of Florida. The center is one of the leading educational institutions in pharmacogenomics research and training of future scientists. The Center collaborates in pharmacogenomics research with other disciplines such as medicine, dentistry and biological sciences at the University of Florida, ensuring innovation in this cutting edge science. The Center for Pain Research and Behavioral Health is dedicated to the investigation and understanding of the experience of pain in humans and to educate future scientists and health professionals consistent with the most current knowledge in the area of pain. The focus of the Center for Pediatric Psychology and Family Studies is on behavioral health and adjustment in children, youth, and families. Clinical child and pediatric psychologists, psychiatrists, pediatricians, and their students work collaboratively on a variety of research activities related to quality of life, adherence to medical treatments, coping with issues associated with chronic illness or injury, and the behavioral and social adjustment of children with both internalizing and externalizing behavior disorders and their families. The Center for Research on Telehealth and Assistive Technology has a major focus on research and development of technologies that advance access to health related services and support independence and quality of life. Work within the center involves both telehealth approaches, and assistive technology for people with disabilities. The Center for Respiratory Research and Rehabilitation translates basic research discoveries to treat neuromuscular disorders that limit breathing. The Center brings together interdisciplinary researchers from throughout the University of Florida in a collaborative effort to advance the understanding and treatment of neuromuscular disorders that compromise respiratory and non-respiratory movements. The Center for the Study of Emotion and Attention is devoted to studying the behavior and physiology of human emotion, highlighting emotion's motivational significance for both attention and response mobilization. 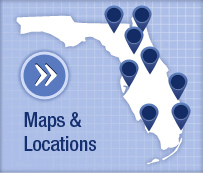 The mission of the Florida Center for Medicaid and the Uninsured is to promote timely research and policy analysis on issues related to access to health care for low-income individuals and their families. The Florida Institute on Disability and Rehabilitation (FIDR) brings together University of Florida (UF) faculty and Veterans Health Administration (VHA) investigators to advance the science and practice of rehabilitation. The Hearing Research Center brings together researchers, clinicians, and public health policy professionals interested in issues related to hearing and communication. The center’s missions are two-fold, including the discovery of new fundamental knowledge about hearing, hearing disorders, and the physical and biochemical processes that drive those disorders; and translation/application of those findings with corresponding public health outreach to effectively educate health professionals and public populations. The Institute for Advanced Study of Communication Processes (IASCP) is an organization representing several disciplines including, Phonetic Sciences, Hearing Sciences, Linguistics, Human Factors, Engineering and Speech, Language, and Hearing Sciences. Its membership is comprised of a large corps of on-campus investigators, as well as numerous colleagues from across the country and around the world. IASCP’s many functions are. Through research, education and service initiatives, the Institute for Mobility, Activity, and Participation (I-MAP) will preserve, promote and improve independent, safe, and appropriate mobility for individuals and within populations. The National Rural Behavioral Health Center (NRBHC) houses a team of behavioral health scientists, educators, scholars, and practitioners dedicated to improving the health care status of rural Americans. The Center for Environmental and Human Toxicology serves as the focal point at the University of Florida for activities concerning the effects of chemicals on human and animal health. The Center serves as an interface between basic research and its application for evaluation of human health and environmental risks. This interface includes an educational component to transfer this knowledge to producers, consumers, and regulators. The research and teaching activities of the Center provide a resource for the State of Florida to identify and reduce risks associated with environmental pollution, food contamination, and workplace hazards.